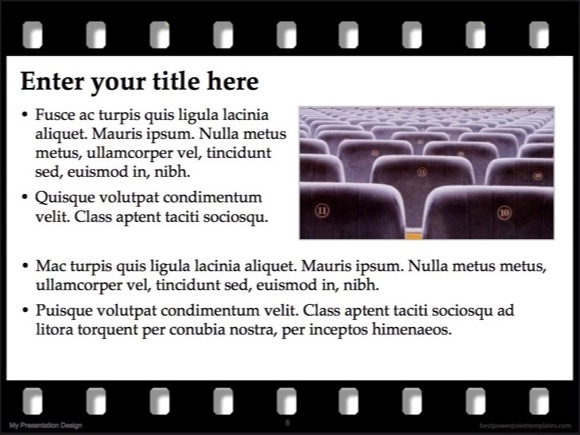 Film Strip PowerPoint template - FREE! 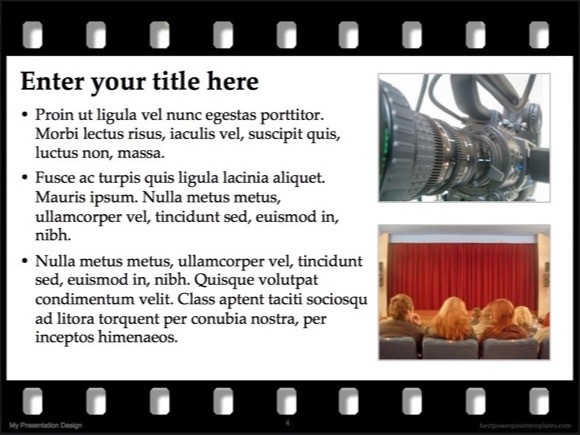 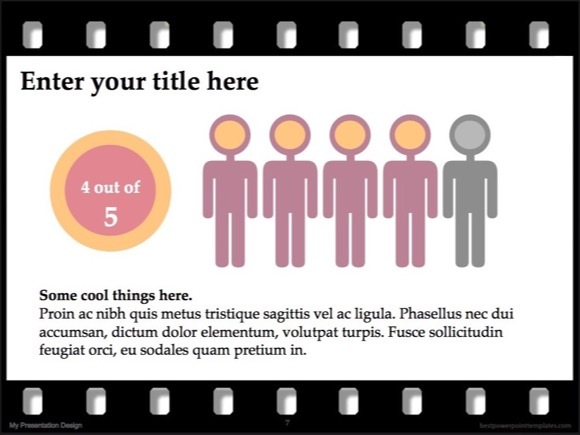 This is another lovely Film Strip PowerPoint template, which is great for movies or your preferred series as well as presentations related to Hollywood. 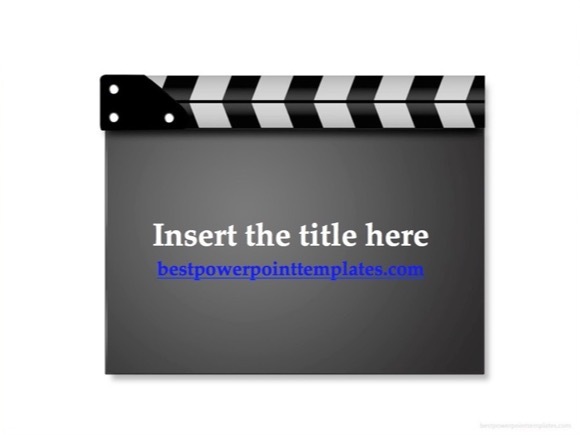 You can also use this PowerPoint template to create presentations for online films or film projects. 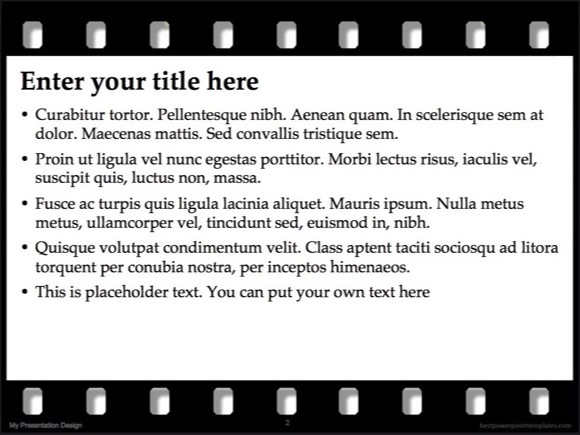 This PPT template features black and white image background with film strip, which is good if you want to create an illusion of moving image. 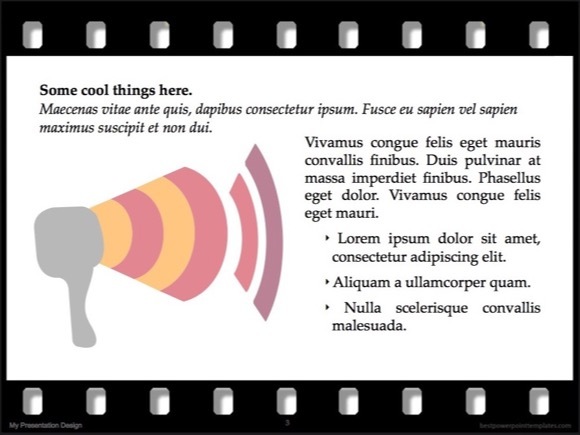 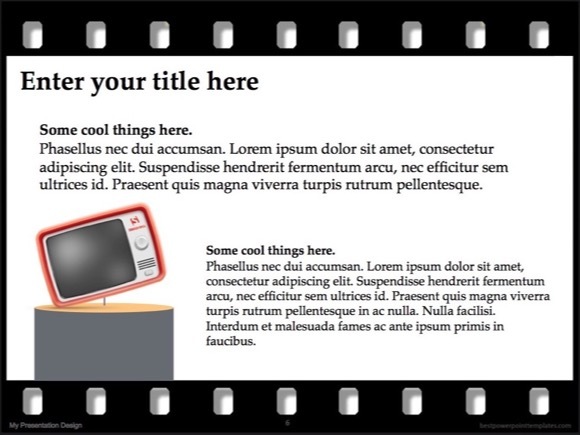 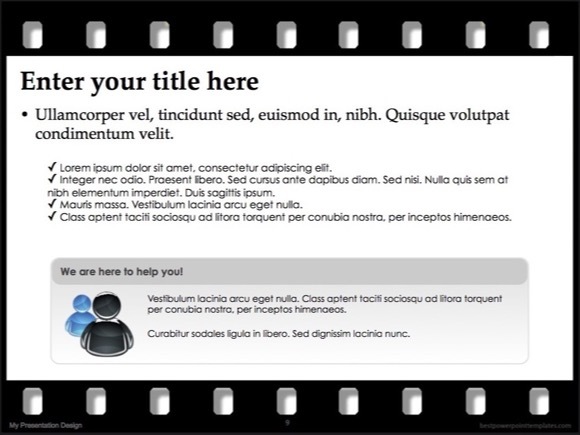 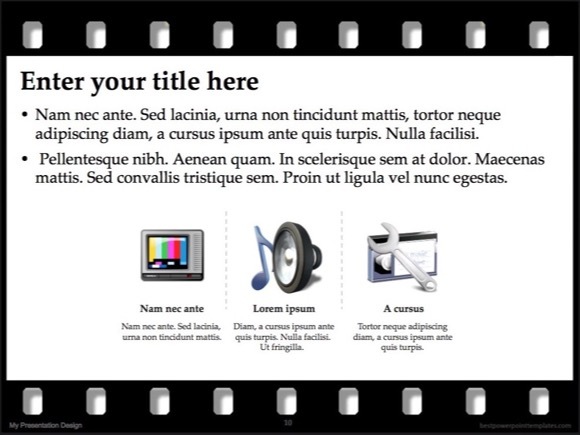 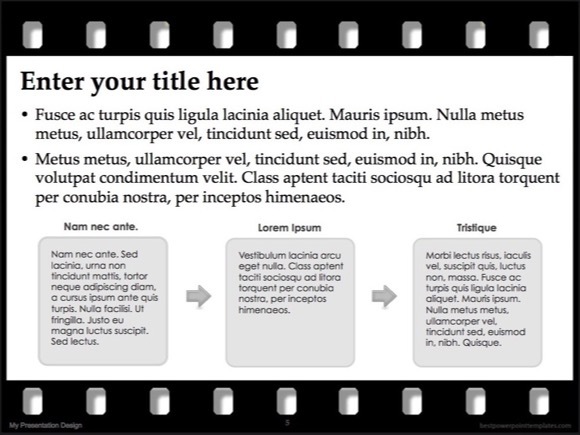 Enjoy Film Strip PPT theme and use it for any powerpoint presentation. 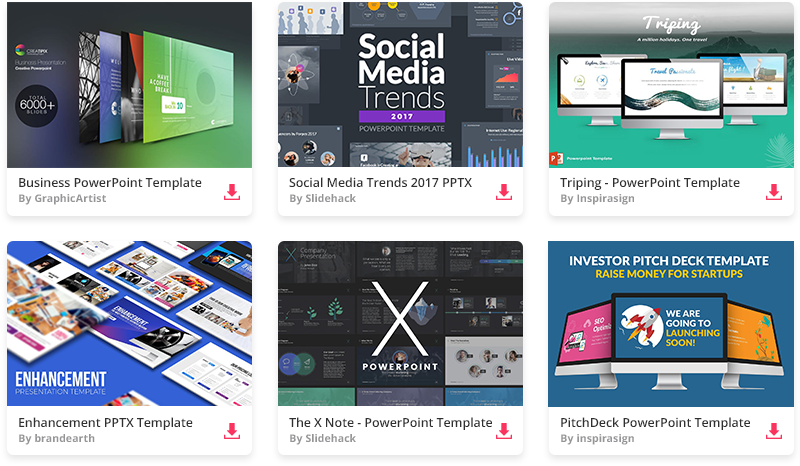 Microsoft® and Powerpoint® are registered trademarks of Microsoft.